The Blog Post Checklist To Try Right Now! Before Hitting Publish Check The List! The Blog Post Checklist To Try Right Now! Before you hit the publish button for your latest post, there are a few things you should do to make sure you get the best results. After going through this blog post checklist, you will be able to hit the publish button with confidence! A lot of effort goes into producing your outstanding content so it makes sense to take a few extra minutes to make sure your posts will be seen by a maximum number of people. These steps will help to achieve better search engines rankings and get more click throughs. It might seem like a lot to do but once you get into the habit, you’ll find yourself doing most points without thinking. Besides aiming to get click throughs, Google also considers your title in their ranking algorithm. So you should include your keywords in your blog post title. By having the keyword in the title it will help Google determine the subject of your page. Your title will also be used when your posts are shared on social media, here again, a good title will encourage click throughs. It’s also possible to create titles that differ from the main title for the different social media sites. The length of your title should generally be under 60 characters otherwise it risks being cut off and some important words may not be visible. Although Google says the meta description provides no direct ranking benefit, there is an indirect benefit. And that is click-through-rate (CTR). If your CTR is better than expected for your search engine ranking then you may move up a few places, of course, the opposite is also true. Therefore a good meta description can improve your rankings. Your meta description should be between 135 and 160 characters, although there is no exact number Google may show a longer description or even another description depending on the search query. The meta description should read naturally, include the keywords your post is targeting and encourage the searcher to click your article. Your meta descriptions should also be unique for all your posts. If you don’t create a meta description Google will take a snippet from your page or post. Social media sites may also use the meta description. Again a good description can help you attract visitors to your site. Not having a description, they may use the opening text in your post, this may not create a good user experience. All in One SEO and Yoast SEO make it very easy to add and edit both the title and meta descriptions. Below you can see the Yoast snippet editor. On the internet, people like to scan posts to get an idea of what they are about before deciding to read the whole post or to click away and find something more relevant. This will enable your visitors to scan your articles. Having a wall of text with no headlines will make it hard for people to see what your post is about and will probably cause them to click away. Internal linking is the process of linking to others posts on your blog. The idea is to link to articles that will provide added value and information to your readers. Thus you will get added user engagement with your site. When a visitor sees a link to another post on your site that’s highly related to the content they are reading, they are likely to click that link. The visitor stays longer on your site and may read several posts. You provide a good user experience and at the same time reduce bounce rate and increase the amount of time they spend on your site which is good for SEO. These are links that point to other domains from your site. When you want to give an explanation of a certain term or topic in your post, link to reliable trusted resources. One such source that is often linked to is Wikipedia. If you do the above you can improve your SEO and provide your readers with useful resources. Another fringe benefit is that some of the sites you link out to may link back to you, which can be very beneficial. A good blog post isn’t just about having a page of text. A great article will have text plus images, charts, screen captures and maybe a video. An image will make your post more visually attractive and can break up your text. Ideally, your images should be related to your post and used where they are relevant to the content. However, I have seen some images used that are amusing and have nothing to do with the content. But as they were comical I read the article to try and understand why they were there. So that can work as well! Images may also help to get traffic from the image search engines. Add your keyword to the filename, description and “alt text”. Having images in your posts will also attract more social shares and drive more traffic to your site. You need to make sure that the image used is optimized for social media. By using All in One SEO or Yoast SEO you can choose the image you want to be used on the social media sites. Before uploading your images it’s good practice to resize. If you upload a large image, yes you can resize it with the WordPress image editor. But having lots of large images hosted on your site’s server may ultimately slow down your site. Resulting in increased load times, increased bounce rate and poorer search engine rankings. Not good! Compressing your images can decrease your image sizes dramatically. But if you compress too much you will seriously affect the quality of an image. There are many tools both online and offline for compressing images such as Gimp, TinyPNG and also WordPress plugins WP Smush or EWWW Image Optimizer. For resizing Gimp, Paint, or Pixlr. Adding a featured image seems to be something I often forget when I first publish my posts. I often have to come back a few days later to add my featured image. I’ll have to keep a copy of this checklist handy! It should be noted that not all themes support featured images. Every image in your post should have an “alt tag or text”. Alt is an abbreviation for alternative. This text is good for SEO but will also help visually impaired or blind people, who use a screen reader, to understand what your image is about. Anyway, say you have added an “alt tag” to all your images. For SEO purposes Google will use your “alt text” to determine what your image is about and also to understand what the surrounding text is about. Write a good descriptive text, that makes it possible to visualize your image if you close your eyes. As screen readers will cut off your text after 125 characters you shouldn’t make the alt text too long. The first priority is to describe the image but if it makes sense you can include your keyword in your alt text. Always try to have a least one image alt text that includes your target keyword per post. You shouldn’t stuff keywords in your alt text, this may result in a penalty from the search engines. To help your visitors find your posts more easily don’t forget to add them to one or more categories. If you use tags you can also add some of these. Remember the goal is to make your website as user-friendly as possible. When writing your blog posts don’t try to come over as too clever by using long complicated words. Keep it simple! You should write as if you’re talking to a friend and no need to use long words. Some of your readers may appreciate fancy jargon but the majority will like simple, easy to understand short sentences. Easy to read text will improve the user experience. Everything you write should be for your audience, strive to give them the best experience possible. Asking a question at the end of your post may spur someone to leave a comment. You may think it’s cool to have some comments on your post but it can also help your rankings. The search engines seem to favor long content and the comments you receive are added to your post’s word count. Therefore the quality comments you receive can improve the ranking of your posts and the traffic to your website. And when you get some good quality comments on a post this attracts more comments. Although it’s nice to receive comments don’t hesitate to delete any comments that aren’t relative or short comments such as “great post” that don’t add any value. You probably think this is an obvious step to take before publishing and think maybe that it shouldn’t be on this list. When writing a blog post you know what you want to say, you understand your subject and it’s very easy to miss errors that are obvious to someone reading your post for the first time. The odd typo or missing punctuation may not be the end of the world but many mistakes will give your readers a poor experience. Before publishing, I try to put the post aside for an hour or so. Then come back to check the draft in preview mode. I try to read through the post two or three times before publishing. Different people have different methods for finding errors. Some people read the post from the end taking one sentence at a time. This way your content is out of context and is perhaps easier to find flagrant grammar mistakes. Others read aloud, finding mistakes that you may miss reading on screen. I also use the Grammarly browser add-on to catch spelling and grammar errors. It’s not perfect and sometimes suggests incorrect alternatives but it’s a great help in catching spelling errors. Well, that’s my blog post checklist! Did I miss something? What other things do you check before you hit the publish button? Lets us know in the comments area below. 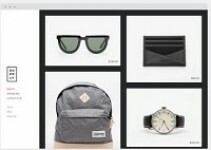 Squarespace Review: Website Design Made Easy? Motor Club of America Review. 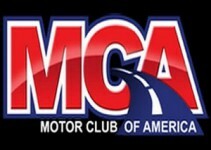 Is MCA a scam or legit? I am very new to the blog world and I have found myself feeling a bit confused at times. I just read your article The Blog Post Checklist To Try Right Now, and you have opened my eyes to so much! I was not really even aware that I could eternally link my blog, although I did know about external links. I guess I just never gave it real thought. I have a question about the Wealthy Affiliate platform. Mainly I seem to always need help with this or that, so can you tell me about their user support and service? Thanks for the info I will be back. Yes, there’s a lot to learn so I understand it can get quite confusing at times. External linking is good practice. Linking out to authoritative sites can help with your search engine rankings, so it’s definitely worth doing. Wealthy Affiliate has several channels for support. You can ask a question to the community, either at the bottom of lessons or in the different classrooms. There is live chat if you need an answer rapidly. Or you can send a message to your referrer who should be pleased to help you out if they can. But the best place to start is by typing your question in the search box that appears on each page. There will be a drop down list that appears, read through to see if your question has been answered. The chances are someone else has already had the same problem. Really great advice thank you. I especially like the tip to ask a question at the end to encourage people to comment. I’d have never thought to do that. I also use Grammarly and you’re right, it’s good to look at your work later with fresh eyes to spot any typos. So pleased you found my post useful. Asking a question might just encourage some feedback from your readers so it’s worth trying. And as comments are treated as content it can help with your rankings provided they are quality relevant comments. Proofreading and finding any typos is worth spending a little time over. Grammarly is a great tool for picking up some simple spelling mistakes although it’s not 100% accurate. So reading through your article a couple of times, ideally, after you have been away from it for a while is still a good idea. One or two mistakes in a post isn’t too serious but many repeated errors will give a poor user experience and may cause someone to leave your website. I have seen several people recommend internal linking but I have this question when you internally link to a page, does the page which is getting linked gets a higher value in the eyes of google or the page on which you are including the internal links or both? This post is really helpful for a blogger like me and thanks for including this wonderful post. You should definitely use internal linking as part of your SEO stategy. I think the most important thing with internal linking is to provide links that provide added value to your articles for your readers. One of the benefits of internal links is that it increases user engagement with your site, which means they read more pages and stay longer on your website which can improve your search engine rankings. The authority of a page changing with internal links can happen. For example, if you have a post with a high page authority that links to a post with almost no page authority, then the post with no page authortiy will have a small boost and the high authority page will have a small drop. Perhaps I am wrong but I never consider page authority when I am linking intenally or externally, it’s all about providing something useful for your readers. Awesome blog post! Truly great. I found this article on Google+, shared by Dinh. I am pleased to have found it. 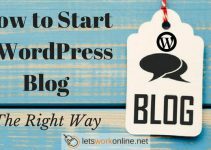 You have given step-by-step instructions on exactly what to do and what NOT to do before you publish a post to your blog. A couple of these things are not something I have really thought much about, which is probably because I have not learned everything yet, but it was great to be reminded of them. Like adding H2,3 and 4 headlines to the articles and breaking them down into smaller pieces. Also, adding the posts or pages to categories or using tags. These are things I seem to either miss, or skip over when I am writing a post or a page. Again, thanks for the reminder! I have very much appreciated this article and I will bookmark it for future reference! Delighted you found the post useful Linda! If you’ve recently started blogging and you’re doing most of the items on the checklist, you’re doing well. Over time you’ll get used to doing all the items on the list and it will become second nature. It’s important to break your posts down into sections using the different H tags, short paragraphs, and sentences. People will then be able to scan your articles before deciding whether they want to read them or not. Don’t worry about forgetting to do something, you can always go back and do it after your post is published. Thanks for your comment and best of luck with your website.